This paper addresses the usability evaluation results performed in an application for mobile devices. The referred application uses haptic and audio interfaces to provide access to web content. Based on the model of listening mechanisms proposed by Schaeffer, the researchers’ team responsible for this project, sought to ally the fundamentals of Software Engineering, Ergonomics and Usability Engineering to the purpose of broadening the possibility of using and handling mobile technologies that allow access to information available in telematics environments by means of synthesis and voice recognition, including also tactile commands. The ergonomic and usability evaluation of the application was performed by specialists in the software engineering field having Nielsen´s heuristics and normative proposals by NBR-9241-11:2002 as bases. 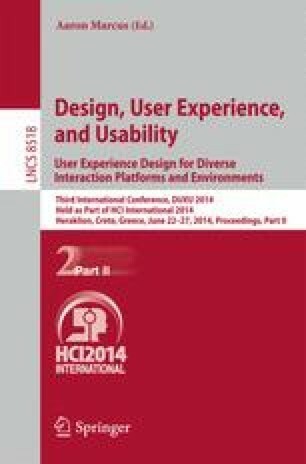 The results of the evaluation performed in the application, as well as the modifications done in it are presented in this paper towards contributing with information inherent to the practical application of usability concepts in human-computer interfaces development.